When will be Ah! My Goddess next episode air date? Is Ah! My Goddess renewed or cancelled? Where to countdown Ah! My Goddess air dates? Is Ah! My Goddess worth watching? One of the most popular Anime series ever. Ah! My Goddess centres around Keiichi after he accidently rings up the wrong number and gets the Goddess Assistance Agency, Belldandy (The Goddess) grants him one wish. Keiichi, thinking this is a joke, asks "I want a Goddess like you to stay with me forever." It becomes true, and so life begins living with a Goddess. EpisoDate.com is your TV show guide to Countdown Ah! My Goddess Episode Air Dates and to stay in touch with Ah! 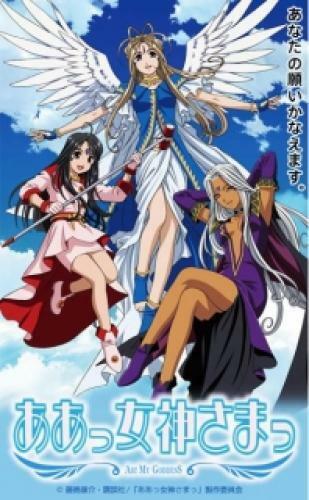 My Goddess next episode Air Date and your others favorite TV Shows. Add the shows you like to a "Watchlist" and let the site take it from there.